Tracy Golf & Country Club is a 18 hole, par 72 Golf Course designed by Robert E. Baldock. The unique 6700 yard design offers tastes of traditional Robert Baldock challenges, coupled with a links course feel, with water coming into play on 9 of the 18 holes. The diverse terrain and tree lined fairways provide a test of strategy and technique, suitable for beginners through the most experienced golfers. 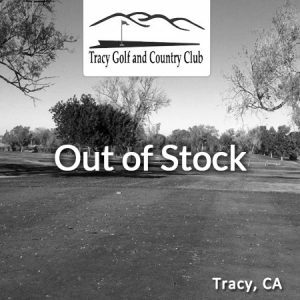 Tracy Country Club is a member owned private country club located in Tracy, California that also allows and welcomes restricted non member play. The course was expanded to a championship 18 hole layout in 1969 and just recently completed major reconstruction in 2014. The Golf course has expanded the layout and provides for an enjoyable and challenging experience for all levels of golfers. 35200 South Chrisman Road – Map it!